Stoned – Monica Vinader’s new pieces hit the stores. NewsBracelet, Earrings, Fine Jewellery, Monica Vinader, Necklace, RingLeave a Comment on Stoned – Monica Vinader’s new pieces hit the stores. But don’t worry, no humans were harmed in the making of these jewellery. The only way stones are getting on people at the British jeweller’s boutiques are in the form of gems safely ensconced in bezels of precious metals to be worn as rings, earrings, and bracelets. In Full Bloom – Five floral jewellery collections for spring. 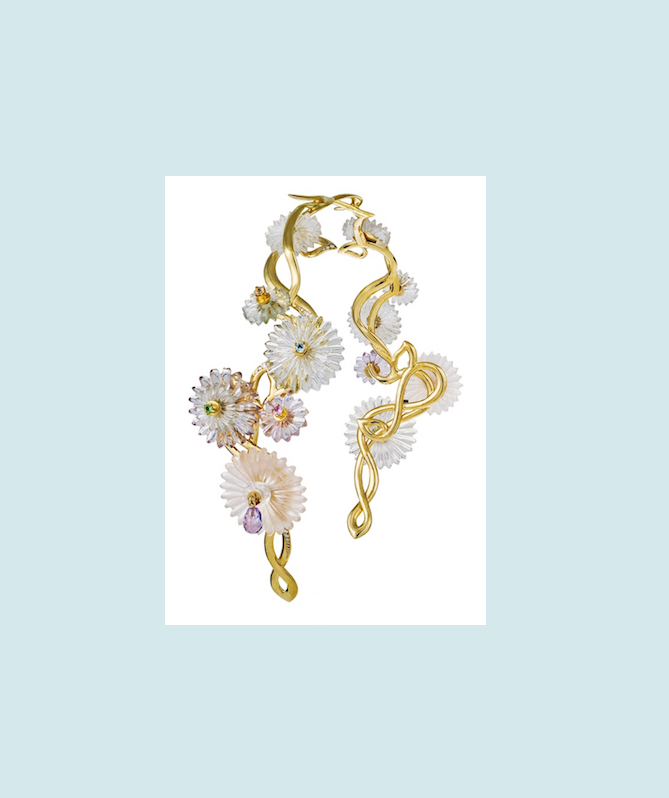 FeaturesBracelet, Earrings, Fine Jewellery, jewellery design, Nature Inspired Jewellery, Necklace, Ring, RingsLeave a Comment on In Full Bloom – Five floral jewellery collections for spring. When Haute Couture isn’t Enough – Five high jewellery creations that threatened to outshine the fashion at the recent Paris Haute Couture Week. 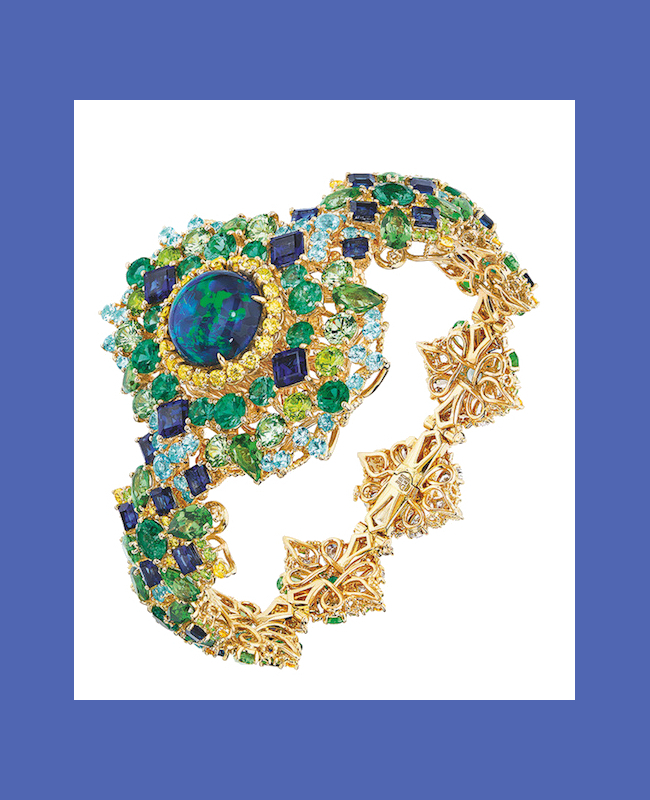 FeaturesBoucheron, Bracelet, Chanel, Chopard, Diamonds, Dior Joaillerie, Earrings, Giampiero Bodino, High Jewellery, Necklace, Paris Haute Couture Week, Ring, Secret WatchLeave a Comment on When Haute Couture isn’t Enough – Five high jewellery creations that threatened to outshine the fashion at the recent Paris Haute Couture Week. Where would Kate Middleton’s wedding style be without the iconic Garrard sapphire engagement ring or the Cartier tiara? Where would Cinderella be without her glass slipper? I shudder to consider the consequences. Hidden Messages – Five ways to say “I love you” this Valentine’s Day. 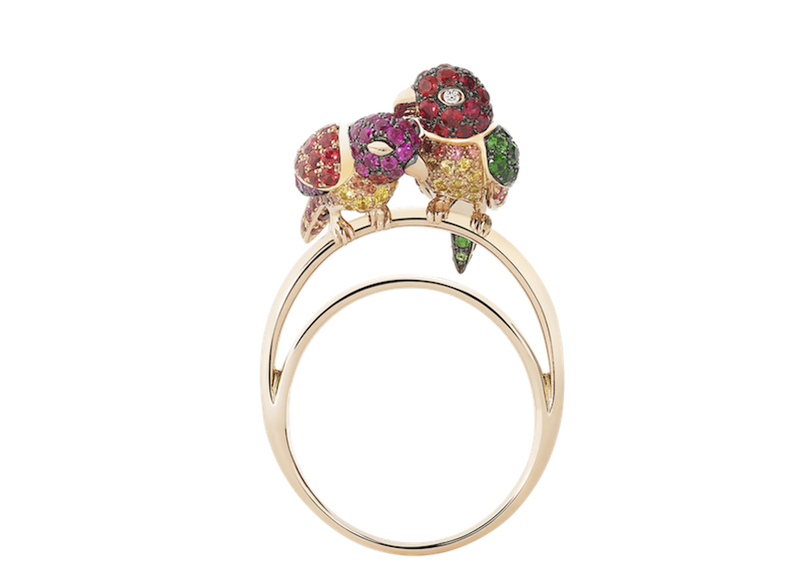 FeaturesAnimal-inspired Jewellery, Boucheron, Bracelet, Chaumet, Earrings, Larry Jewelry, Lazare Diamond, Necklace, Ring, Risis, Tiffany & Co, Valentine's Day JewelleryLeave a Comment on Hidden Messages – Five ways to say “I love you” this Valentine’s Day. Heart shapes on Valentine’s Day is such a cliché; subtlety is more tasteful. Here are five gem-studded creations that say “I love you” with all the class and none of the crass(ness). If this ring looks a little less finished than the pieces I usually write about, it's because I made it with my own hands! I spent the past one and a half months learning how to make jewellery. Am I now a bona fide jeweller? I wrote about my experience on the site. Link in bio. That glint. Need I say more? Larry Jewelry celebrates its 50th year with a stunning new collection. A little more than three weeks ago, I attended the Monica Vinader AW17 press day and got a sneak peek of the brand's upcoming designs. Those pieces will soon be available in stores now that we've entered June! I've published a quick introduction to the new additions. Link in bio. Spring has sprung! But us unfortunate residents of Stockholm are seeing no signs of it yet. In lieu of real flowers, I go on a hunt for ones in precious metals and gems. They will last through any season; what's not to like? Five floral jewellery collections, now on the blog. Link in bio. Nature's snow scene, in micro and macro scale: In my job, I see and write most about diamonds and the ultra-expensive, high-luster, high-clarity coloured gems coveted by collectors and high jewellery houses. Personally, however, I have recently fallen for the more humble dendritic agate. Dedrites are usually manganese and iron deposits in crystals that happen to resemble plants! I especially love when it occurs on a white base material because then it looks like nature has painted a snow scene using the rock as her canvas. Aren't these two odd-shaped pieces just calling out to be framed like a picture with a simple bezel setting? I think they'll be perfect for earrings. Wear St Paul's Cathedral on your finger; it's possible when you rope in an architect to help with the jewellery design. Singapore-based label Simone Jewels has collaborated with Jason Pomeroy of Pomeroy Studio to create a unique collection of six rings. Read my in-depth interview with them on the site. Link in bio. Where would Cinderella be without her glass slippers? I pondered this (very relevant) question as I admired the high jewellery creations presented at the recent Paris Haute Couture Week. Take a look at my top five picks on the blog now. Oh, and find out what the musing about Cinderella was all about 😉! Link in bio. Take a break from Singapore's sweltering heat. 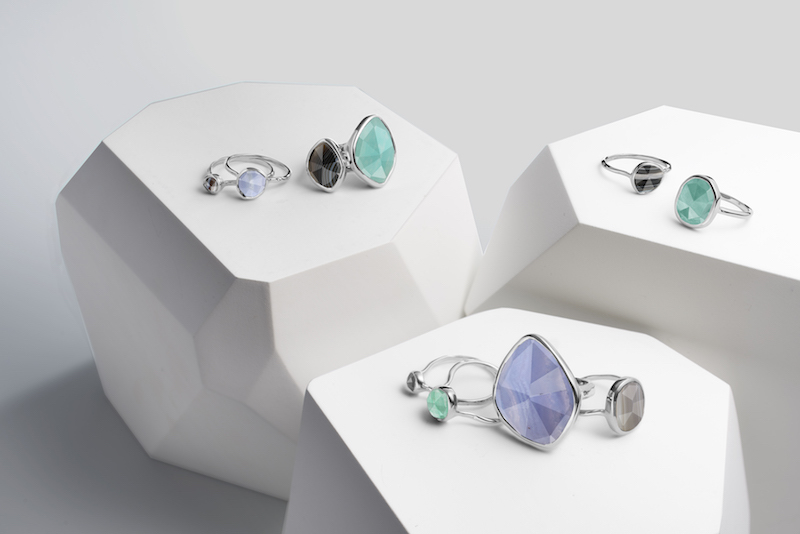 Icelandic jewellery line Aurum by Guõbjörg brings snow, ice, reindeers and polar bears to our sunny island with pieces inspired by Iceland's natural wonders. I particularly love the Salka bracelet shown here. It's lying on paper mache pebbles modelled after the pebbles found on Iceland's beaches and they are actually jewellery boxes that every Aurum piece comes in!Aurum is having a pop-up on the third level of Takashimaya in Singapore from now till February 14. Drop by to pick up some unconventional presents for Valentine's Day!